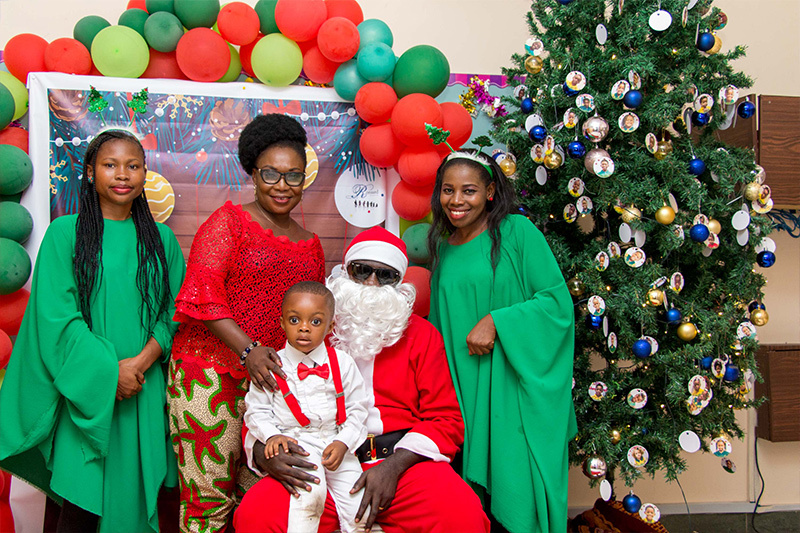 Santa, Christmas trees and presents were the talk of our Christmas production last Friday! Excited for the vacation, everyone was clad in their white and red apparel with their Christmas hat on production day! It was such a lovely sight! Parents were ushered in and treated to a sweet-sounding duet by our amazing teachers. 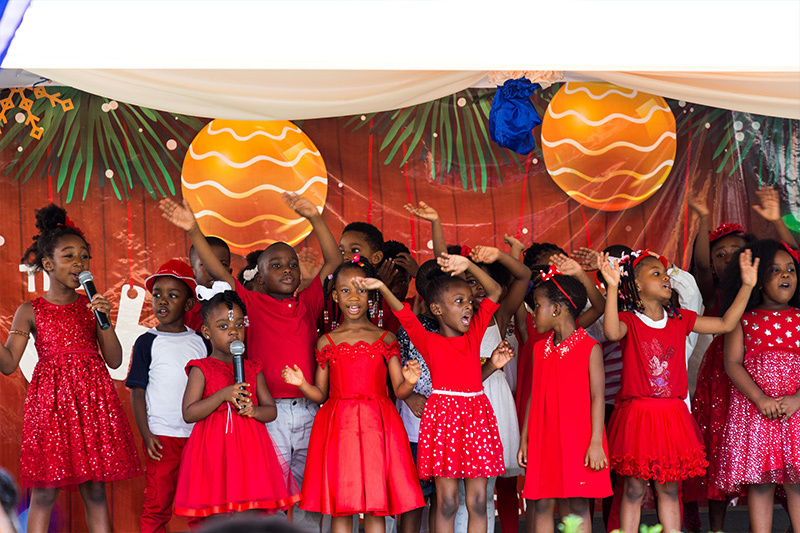 After that, the audience was treated to exhilarating dancing and singing performances from each class on the nicely-decorated stage. Year five climaxed the event with a sketch emphasizing the spirit of giving which got the audience cheering with thunderous applause. 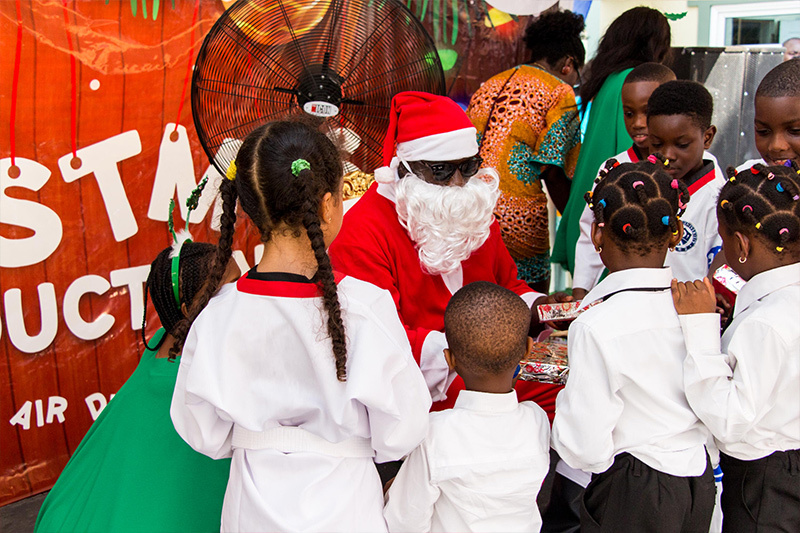 That was not all, every class was left with a huge smile on their faces when Ecole Ronsard’s Santa gave out amazing Christmas presents. Of course, a greater surprise was given to parents when they were caught up in the ‘battle of the fastest fingers’ airtime giveaway. and the tree. Finally, everyone got a turn. When the popcorn and cotton were ready, children from all year groups queued in anticipation to get their share of the tasty niceties. It was the same story for the bouncy castle and face painting stand. sure was a lot to eat and drink! It was a FANTASTIC experience. 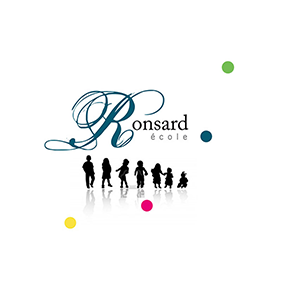 Now that’s how you get a Red Christmas at Ecole Ronsard!